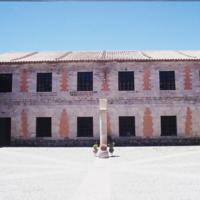 This is one of the large, interior patios of the Casa de la Moneda. In the 18th century, there were three main patios in the royal mint, making it one of the largest civil buildings in all of Spanish America. When the mints were working factories, hundreds of people passed through their doors and an empty patio would have been a rarity. The brick and ashlar stone of the Casa de la Moneda can be seen in these walls. Wood, which would have also been used—especially for porches and roofing—was imported and thus very expensive. 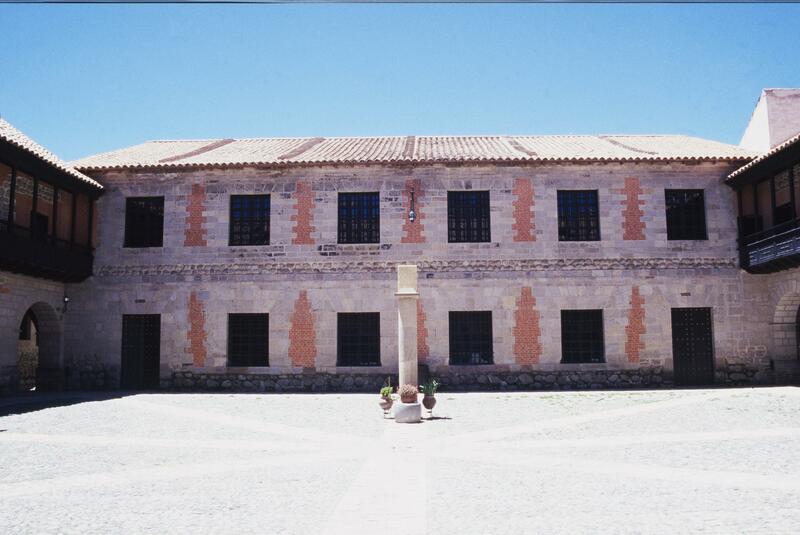 The Casa de la Moneda was a giant factory, organized to produce silver coin for the Spanish crown. Inside were administrative offices and living quarters for inspectors and guards, as well as outbuildings for fires to work the silver and storerooms. In yet other sections were rotating wooden machines, driven by mules, that pressed refined silver into bars. On any given day in the late 18th century, hundreds of people—Creoles, indigenous Andeans, mestizos, Africans and African Americans would find themselves at work at the mint.